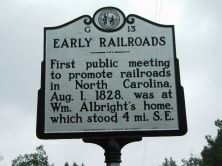 First public meeting to promote railroads in North Carolina, Aug. 1, 1828, was at Wm. 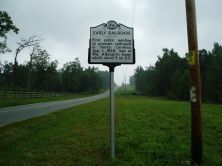 Albright's home, which stood 4 mi. S.E.